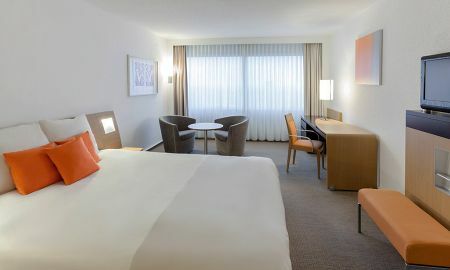 Novotel Rotterdam Brainpark is in the Brainpark business park, next to exit 25 of the A16 highway. The hotel offers free wifi. 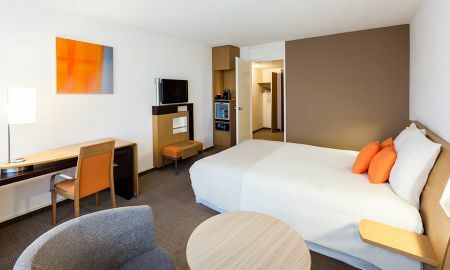 The spacious rooms at the Novotel are furnished in a contemporary style with a flexible layout. They are enjoyable to stay in and will meet all your requirements. Dine however you want, whenever you want. Enjoy simple, tasty, healthy and balanced cuisine at any time. Take a moment to relax in the restaurant, on the sunny terrace, or even in your room. Whether it's lunch, dinner or a drink in our bar or on our bar or on the terrace, Novotel offers space to relax too. 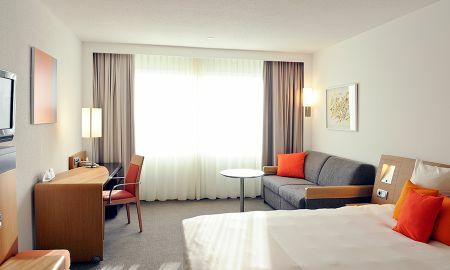 Novotel Brainpark is located 13 minutes by car from the city centre. You can discover the lively city of Rotterdam or visit cities like The Hague and Amsterdam, which are all reachable by car in less than an hour. The A16 highway is a 4-minutes' drive. Arriving by public transportation is easy too: Kralingse Zoom subway station is a 10-minute walk away. 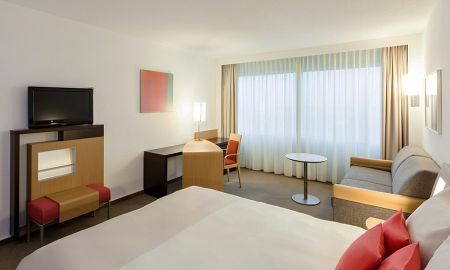 Erasmus University is opposite, and Rivium business park is 1.25 miles (2km) away. A visit to the Kralingse Bos forest, which is 2.5 miles (4km) from the hotel, is a must.